President Bush Still Has It! 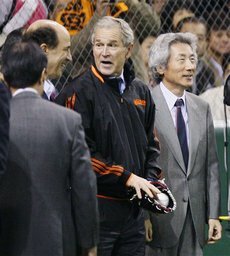 While he was in Japan, former President George W. Bush threw out the first pitch before game 3 of the Japan Series currently being held between the Yomiuri Giants and Nippon Ham Fighters. 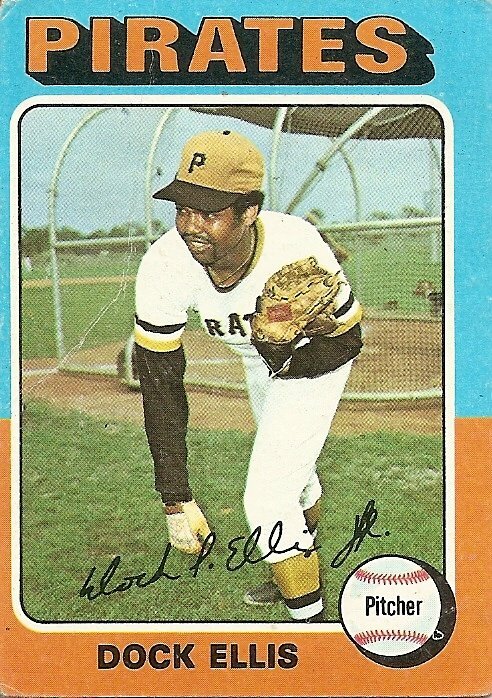 Rolling up to the mound in a Yomiuri jacket, Bush toed rubber Tuesday before bouncing one in the dirt. He watched the game, which the Giants won 7-4 in a private box with the Japanese Prime Minister, the US Ambassador and Sadaharu Oh, the Japanese home run king. One demonstrator threw his shoes at a photo of the former president, copying the Iraqi journalist who had thrown his shoes at the actual Bush during a December news conference in Baghdad. It’s nice to see that despite being out of office for 10 months Bush is still in mid-season form in having people hate him. That’s the experience of a veteran.